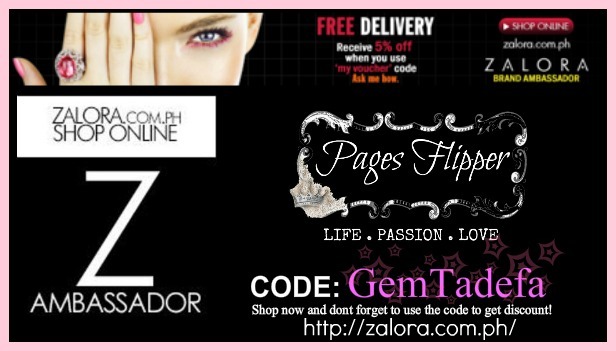 5 reasons why you have to shop at Zalora Philippines. 1. THE LATEST TRENS - ANYTIME, ANYWHERE - You can shop day or night, wherever you are. 2. CONVINIENT PAYMENT OPTIONS - You can pag by Credit Card, Gcash, Bank Deposit, Paypal or Cash On Delivery. 3. DELIVERED TO YOUR DOOR - Avoid the crowds at the mall. Enjoy the fast delivery anywhere in the Philippines. 4. EASY RETURN AND EXCHANGES - You get 30 days to return or exchange your purchases or just hand it back to your COD courier when you receive your order. 5. YOUR SUPRISE GIFT! - Shop now and get disount on your order. Use the voucher code below upon checking out.